Forget the air-conditioned towers of glass and steel—today, Dubai’s most exciting design projects are about reconnecting people to life at street level. In the eyes of the world, Dubai is defiantly a city of skyscrapers. It’s perceived as an ultramodern, man-made metropolis, in which everyone glides between underground parking garages, air-conditioned malls, and glittering high-rise towers. Projects like the 163-floor Burj Khalifa, the world’s reigning tallest skyscraper, and the 1,166-foot JW Marriott Marquis, currently the world’s tallest freestanding hotel, are seen to have successfully isolated city residents and visitors from the environment—a blistering desert beyond the sealed, plate-glass membrane. Meraas, a holding company directly connected to Dubai’s ruler, Sheikh Mohammed bin Rashid Al Maktoum, is at the forefront of developing what it calls “dynamic outdoor concepts.” The firm is behind CityWalk, where sleek storefronts and terrace restaurants are set around a palm-shaded courtyard. The complex includes a pleasant promenade along Safa Road, one of Dubai’s busiest thoroughfares, where, a couple of years ago, few people dared to walk. Meraas’s most eye-catching project, Boxpark, in Dubai’s fashionable Jumeirah district, is a three-block stretch of storefronts housed in steel shipping containers—a concept borrowed from a similarly named development in the Shoreditch neighborhood of London. If you do attempt to walk its length on a 95-degree day in September, as I did, you may find it necessary to make at least one restorative stop in an artisanal gelato station. Even the potted plants on the street are kept alive with buckets of ice. Entering any of the units, whether it turns out to be a trattoria selling dairy-fresh mozzarella or a Nike store, is like stepping into a refrigerator. The cantilevered containers, with their canvas awnings, make half-hearted attempts at shading, but they can’t compete with artificially chilled air. 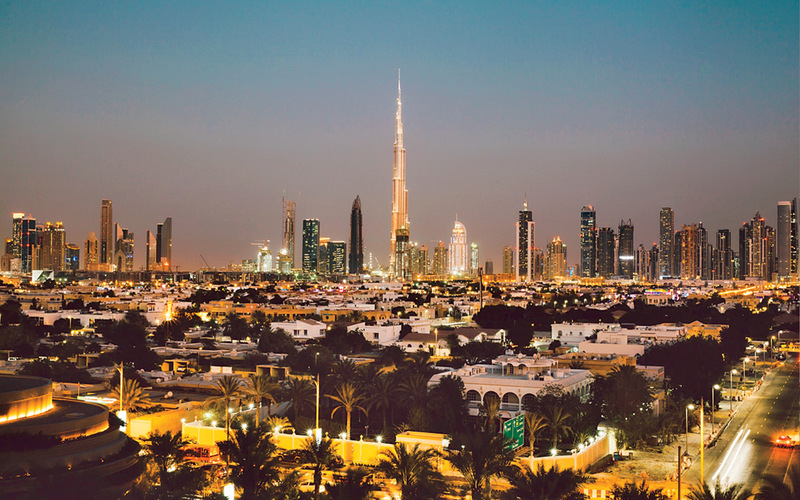 In a desert city-state where summer temperatures often exceed 100 degrees, leisure time has typically been spent indoors (Dubai is home to the world’s largest indoor ski slope, as well as the world’s biggest mall). In many parts of the city, a sidewalk bench is still enough to make pedestrians stop and stare. But technology may make outdoor urbanism more palatable. The Gate Village cultural district, in the Dubai International Financial Centre, has installed columns in its exterior arcades from which cool air quietly sprays on visitors year-round. 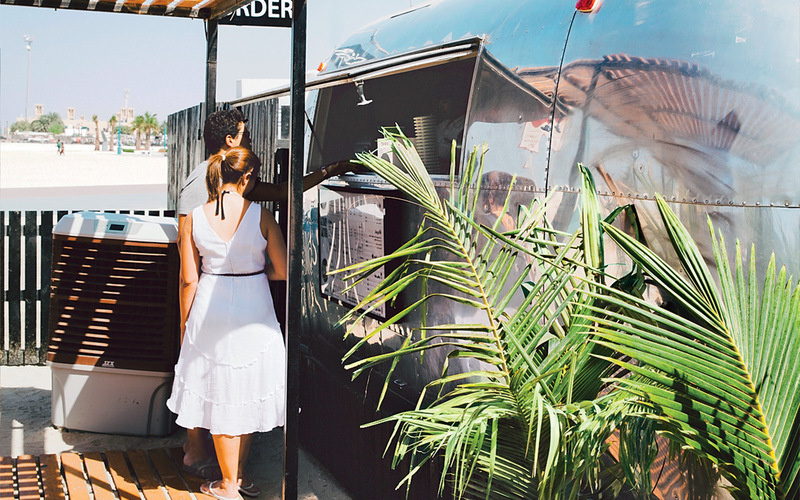 At Salt, a hamburger truck on Kite Beach, diners can slip into an air-conditioned plexiglass box to eat at picnic tables with their feet in the sand. There have been reports of a proposed “air-conditioned mini-city” (essentially an 8 million-square-foot mall), as well as trials of a product called Cloud Cast, which delivers localized air-conditioning to people as they move around a space. Down on Dubai Creek, Deira district benefits from a more natural cooling system: breezes off the water that frequently freshen the shore. Until last year, traditional wooden dhows reigned here, bringing cargo in and out of the original city center. 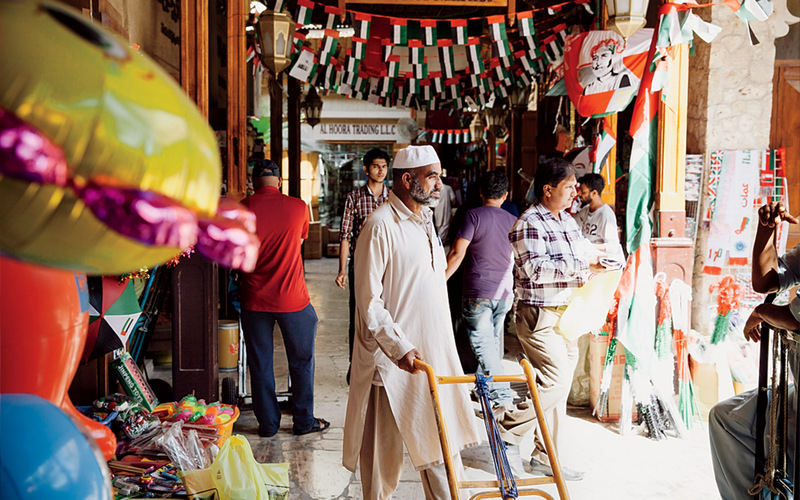 With their cargo stations now shifted to Deira’s Persian Gulf shore, the creekside has been transformed into a broad promenade. Here, Dubai dwellers of every nationality and demographic come out to exercise in the cool of evening. Twentysomethings play lightning-speed games of badminton with fluorescent shuttlecocks, groups of elderly Chinese people practice tai chi, and South Asian men power-walk from one end of the promenade to the other. In this city, the perspiration gathering on their brows seems like an act of defiance. 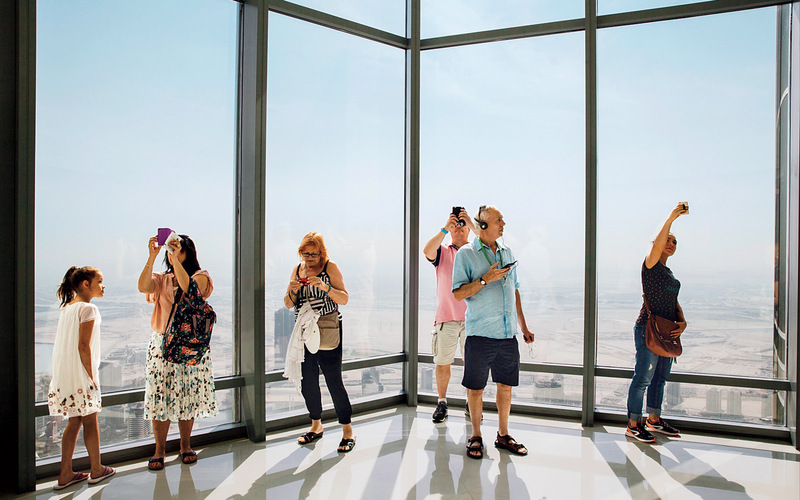 My Emirati friend Hind Mezaina always says that Dubai is a city where “everything changes and stays the same.” But there is a growing sense that residents want to be outside—even in the hottest months. Just across the creek from Deira, Meraas is pursuing another walkable district called Marsa Al Seef. This waterfront development of Modernist hotels and stores, accessible by boat and sidewalk and packed with references to an Arabian Nights–style interpretation of Gulf history, could be Dubai’s grandest pedestrian area yet. Urban design trends notwithstanding, Dubai is still a city best navigated by car. (Its highways are known for their satin-smooth asphalt, but turn a corner on the average sidewalk, and a crater can betray your ankle.) As a result, it’s going to take a lot to change Dubai’s traffic problem. The last time I arrived in the city, well after midnight, I was caught in gridlock for more than an hour. As my rental car crawled toward Satwa roundabout, around which many of Old Dubai’s most popular restaurants are arranged, I caught sight of a set of familiar green neon lights—the sign of the classic Al Mallah shawarma restaurant. I swerved to the right and, before I knew it, had taken a sidewalk table and ordered chicken shawarma and a lemonade with mint. By then, the temperature had dropped to slightly below 100 degrees. A cooling unit blew a gust of tepid air in my direction, just refreshing enough for me to sit back and enjoy watching passers-by stroll along the sidewalk, a fraction slower than the traffic I had escaped. Across town in Jumeirah Beach stands one of the most high-profile low-rise developments in Dubai—the new Four Seasons Resort Dubai at Jumeirah Beach, a discreet oasis on the Persian Gulf. Though a mere six stories above the ground, the hotel’s rooftop Mercury Lounge is already a hub for Dubai’s cool crowd, especially around sunset. 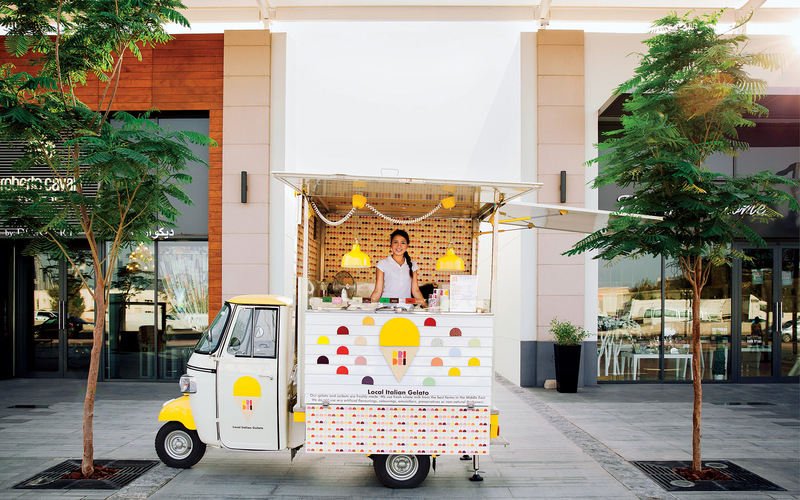 At that magic hour, as bartenders sliced citrus fruit to a studiously chilled-out sound-track, I took in the area where many Dubai residents have traditionally lived: Jumeirah’s low-lying layer of villas and apartment buildings. In the distance, the famous line of skyscrapers along Sheikh Zayed Road faded into the dust. From this vantage point, it struck me that the hubristic message these towers convey, so pronounced in in-flight magazines, movies, and TV commercials, is quickly lost in the reality of life at ground level.